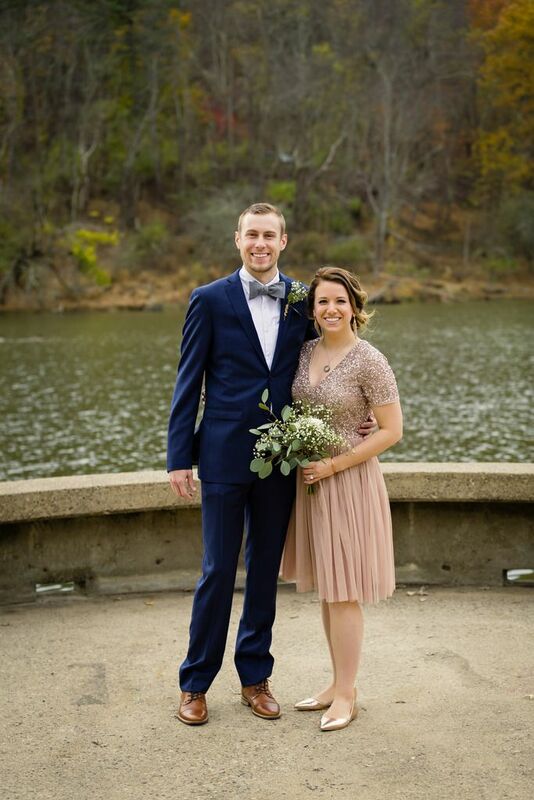 In November 2017, I was a groomslady (or groomswoman or whatever you prefer!) in my sister-in-law and brother-in-law’s wedding! I was standing on my brother-in-law’s side as a way to represent my late husband. That was very important to me. As my gift to them (they were working with a more DIY wedding), I also volunteered to do the photography – they were very sweet to gift me later in the interest of full disclosure – but the majority of my photography package was my gift. 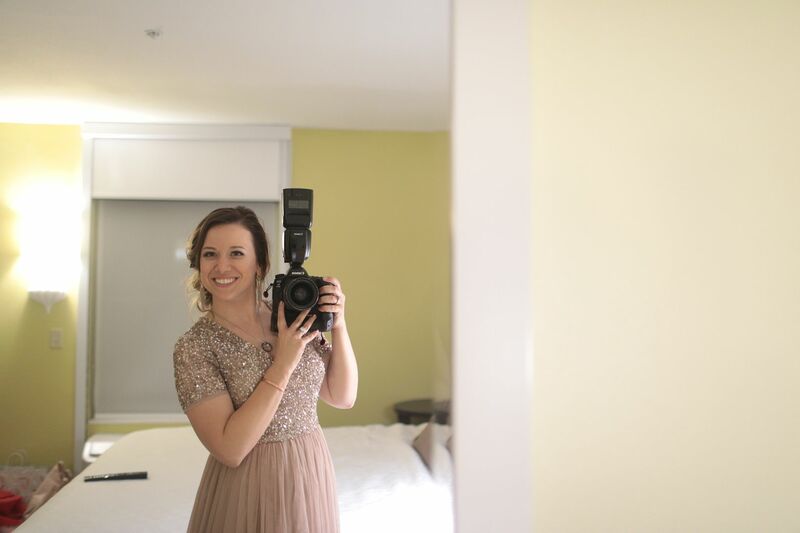 I have found a few photographers online who have also done this, such as Katelyn James and Amy and Jordan – but most people I found who have done this were husband and wife teams. I didn’t find any solo shooters doing this, so I wanted to write a blog post about this. If you’re all “TL:DR” – I made a video too. Peppered throughout are some behind the scenes shots and I’m also including some of the finished product. 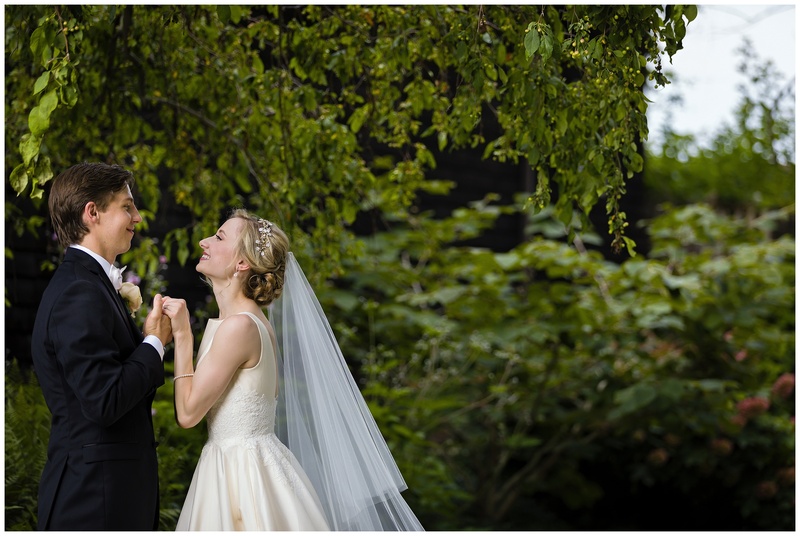 Click here to see Emily and Bryan’s full blog post. Q: Is this a good idea? A: So 2017 was my 8th wedding season – I had done about 250+ weddings at the time. Prior to 2016 or 2017, I would have said this is a BAD idea, actually – because I personally didn’t have the experience level and systems yet in place to be able to do this. I would (and have) told people online NOT to do this and to encourage their sister/best friend/college roommate to hire someone instead. However, my thoughts on this changed in 2017 and it’s because I had more systems and support in place. In 2017, I had an office assistant who was able to free me up a bit personally and professionally to be able to carve free time out and enjoy more of the wedding planning process, bachelor/bachelorette parties, etc. Prior to 2017, I wouldn’t even have had the time to enjy the wedding as much as I did. I’ve had an editor for several years and we have a good system in place as well – even for November, which is usually at the end of the crazy busy photography month of October. Also, in October of 2016, my friend Char was a bridesmaid in a wedding and we arranged for me to shoot it and for her to edit for her very good friend – so I already had an idea of what the type of support structure could look like and how it could work. So generally, I’d say YES this is a good idea if you are experienced in your career, have your workflow down, have supports in place, and a few other key things fall into place. Q: What kind of support do I need to have to do this successfully? A: I’ve already mentioned how I have an editor and I had an office assistant as well. I also had my regular wedding day assistant there in my sister Allison. Additionally, I hired a friend (Weddings by Alisa) to shoot the things I couldn’t like bridal party, family, and ceremony. What’s the price for this? Photogs, I paid 2x the going rate for second shooters – since they’re taking some primary roles that day. Obviously husband and wife teams will have a different work distribution – depending on which partner’s family the wedding is for. This was my gift to this sweet couple (as well as engagement photos) and that way I still supported and did not undermine our industry and pricing. Q. 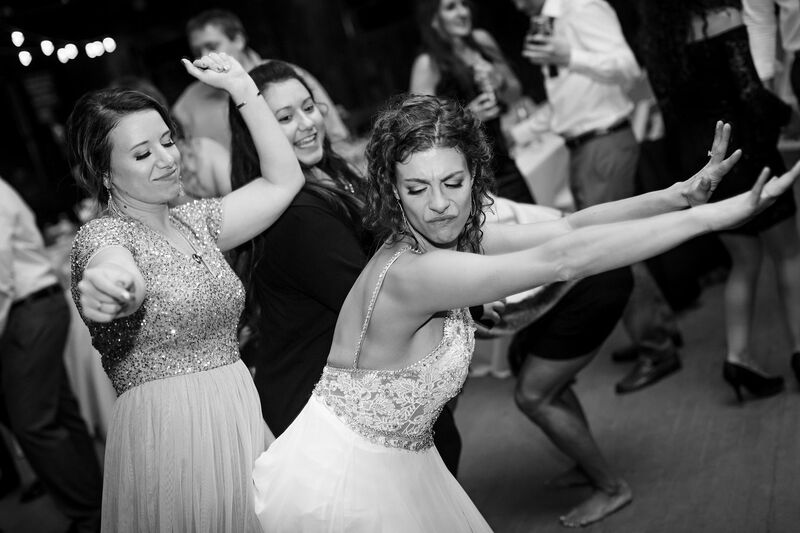 Should you do weddings for friends/family in general? A. You gotta know your friends and family. You probably know which friends and family members’ weddings you should shoot in general and which you should refer out – whether that’s due to a personality fit, a photography style fit, pricing, etc. 1. You need to be selfless with your hair and makeup (and general appearance) – it’s going to suffer some. 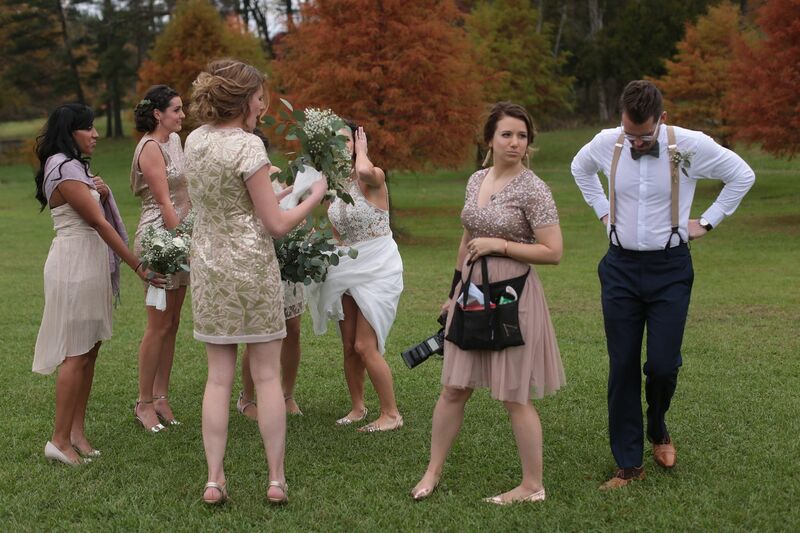 As a bridesmaid, of course you should be all about the bride anyway. But if going down the aisle looking pristine is very important to you – refer the wedding out. 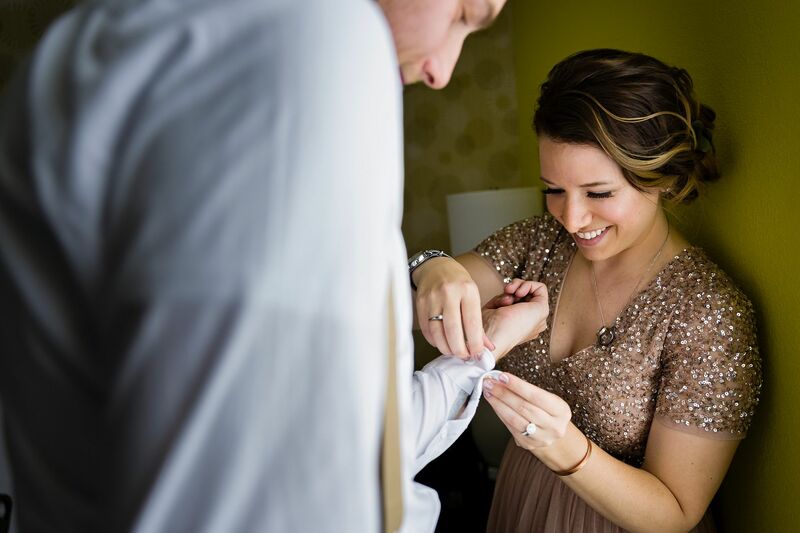 Get your hair and makeup done first before any other wedding party members – and just know, it’s not going to stay perfect all day. 2. Along the same line, think about your outfit and what it can handle as far as shooting. 3. Shoot every single detail you can shoot in advance – the week before (personal details) or the night before (reception details) – except floral for obvious reasons. You can ask the bride what type of flowers she will have and then use fake ones or purchase some retail to fill in for the details, then the day of, just shoot the actual bouquet shots. This is a HUGE timesaver. 4. The type of wedding this is will make or break you. 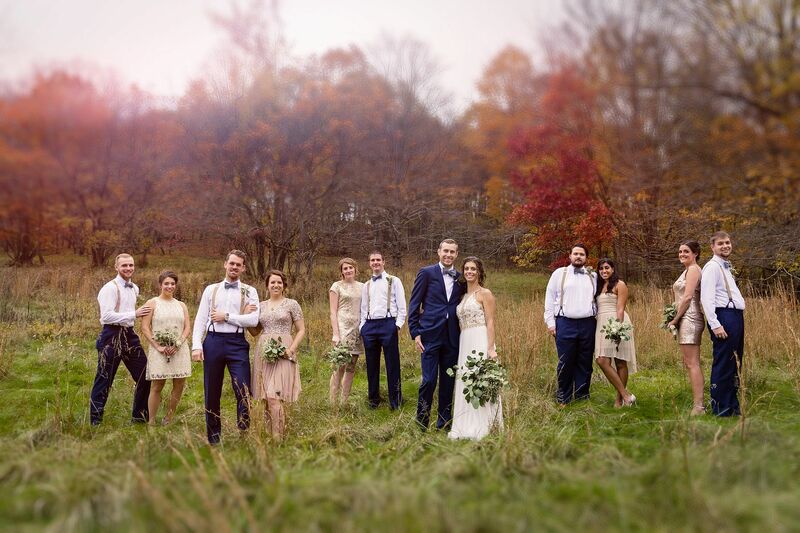 My BIL and SIL had a very chill wedding – no traditional-style reception events. Their ceremony and reception were all on one property. All these factors alleviate some logistics and stress – you might need more support with a full Catholic mass, long drive, multiple photo locations, grand ballroom reception. 5. On the bright side, you are going to have more control over some aspects than a client wedding and you can also give more generously too. You may have more influence over the vendors hired, the timing of the ceremony, ways to stretch the budget, time of year, timeline, etc. You can also give more generously – more elaborate engagement session, album upgrades, that sort of thing. 6. You’ll experience the wedding differently than if you were solely serving as say, maid of honor. I’d recommend you do it for say, a sister-in-law, yes! Would I necessarily do this for my closest sibling or absolute best friend? 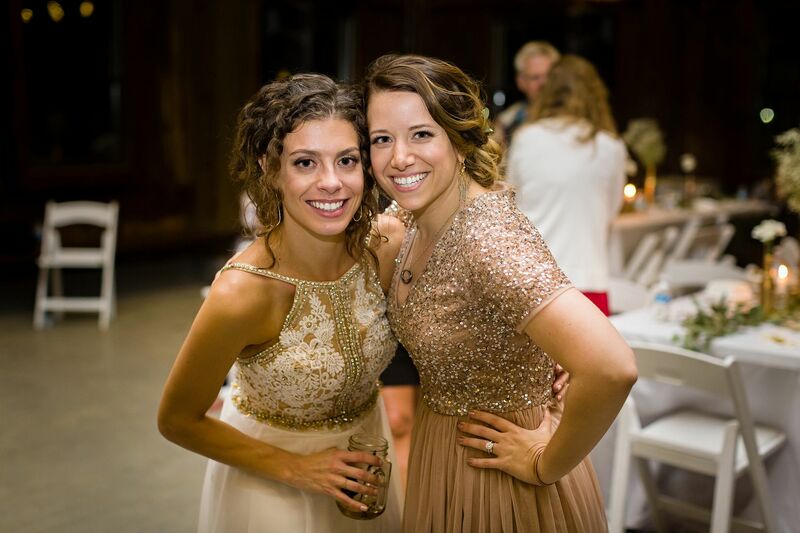 Probably not – but my closest sibling and I work weddings together! 🙂 Also, if you are doing the photography – skip the alcohol. 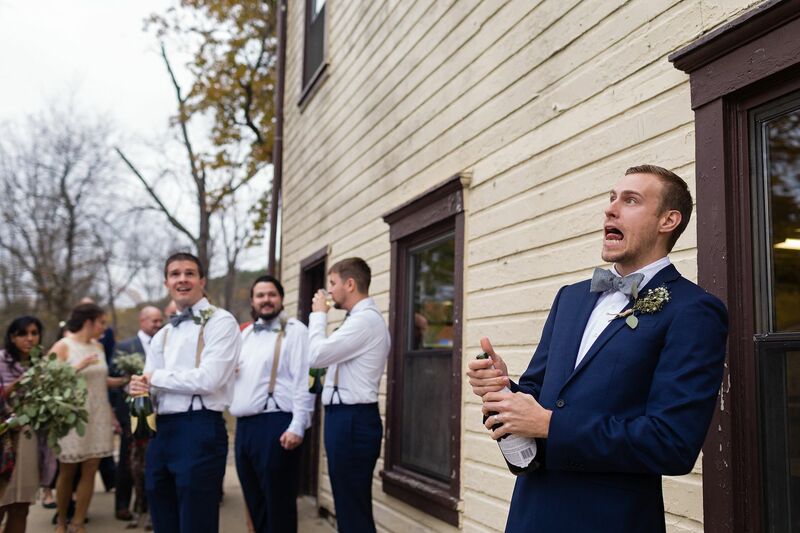 That doesn’t bother me because I don’t drink – but if you were thinking of having a few, make sure to delegate your reception duties to your assistants. 7. Write out every step and envision the day. 8. You might feel MORE comfortable behind the camera. I know I usually do – it’s something a lot of photographers feel. If you feel more comfortable having a job to do at social events (because I’m socially a bit awkward and maybe you feel that way too!) – this is something you might like! 9. Hope and pray it doesn’t rain. This might be Pittsburgh specific. Just know the job is going to get harder with hair/makeup/outfits/lighting if you have to move indoors or shoot under cover. I had a raincoat, shower cap/rain bonnet, hairdryer and rain ideas planned. You could alternatively think about having a day-after session for the couple if the rain looks to be torrential. 10. Just say NO to any other additional responsibilities. Don’t be the breakfast bringer, don’t be the reception hall decorator. Don’t be the dress bustler or the bridal shower planner. For myself, I couldn’t ever handle also giving a reading or a speech or singing or anything like that in addition to my responsibilities. Again, I’m very single-task focused though! Know what you can do. 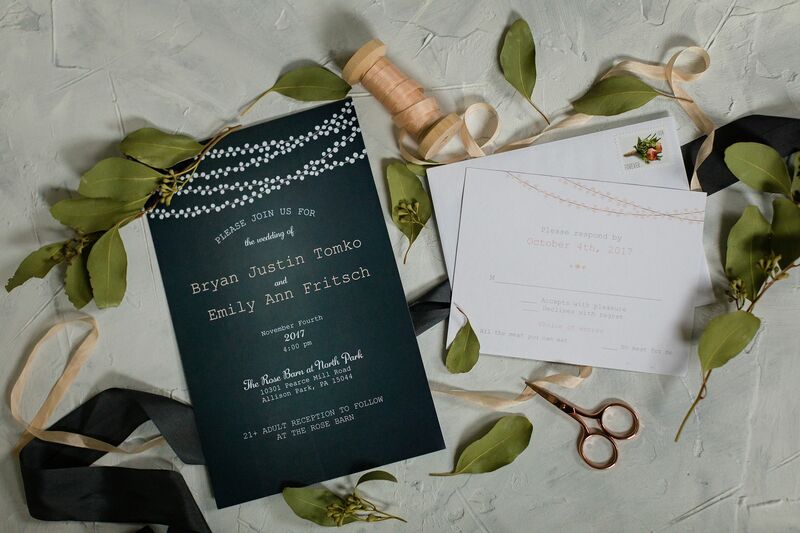 *In the future, I would try to do a first look and get everything done before the ceremony – that way, post-ceremony, all the hard work is already done! Also, I always feel that time pressure to get back to the reception at a reasonable time while still making good photos! Alternatively, consider a committed-to day after/post-session! *I know from talking with a few other photographers, occasionally people will have another wedding the day before their sister’s or the day after their best friend’s. If at ALL possible – try to not do this. This was important for my anxiety level and balance – I had one the weekend before, then just my SIL and BIL’s, then a weekend off. That was so ideal! That’s okay! 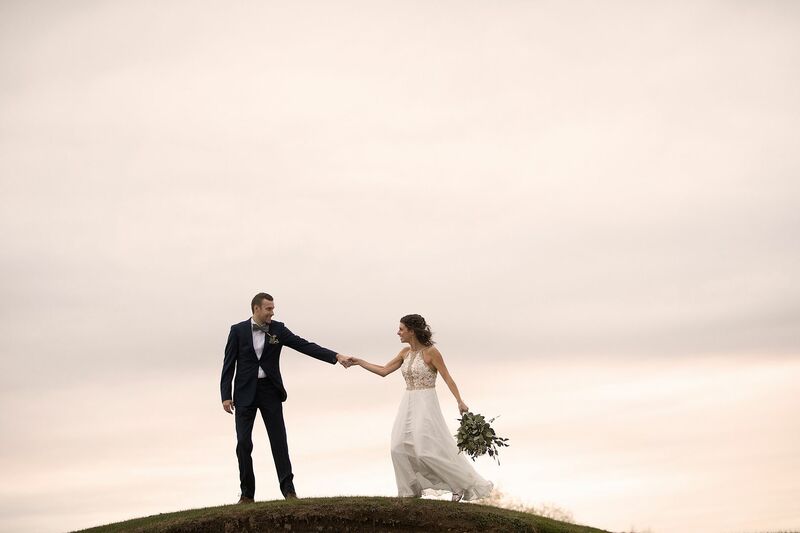 I would totally do it again because I loved it and I had a ton of help and I wanted them to have the best possible photos – and it was a way for me to give a gift that otherwise would be out of my price range! But if it’s not for you, you can always hire a photographer for them as your gift or do a day-after session for them!